Kailyn Gets a Big Surprise! By July, she proved herself right. 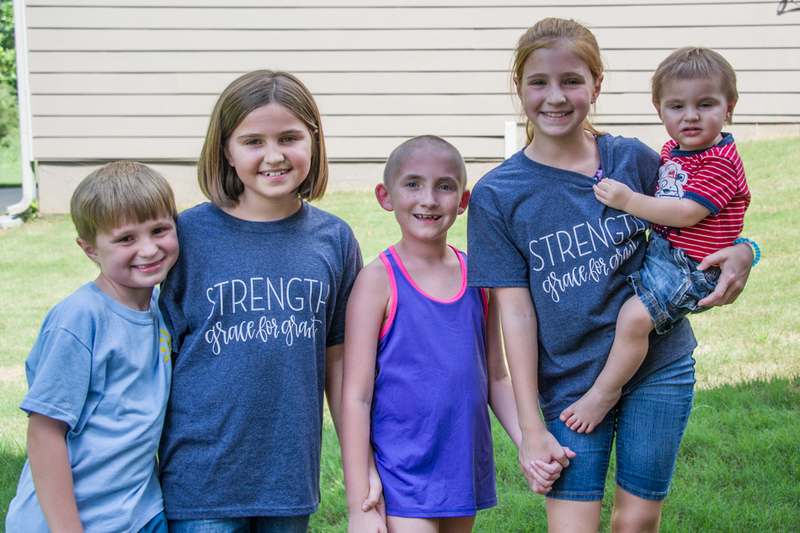 A lump on her thigh turned out to be Ewing’s sarcoma, and her normal, happy life was turned upside down with 17 rounds of chemotherapy – each requiring up to five days in the hospital, 16 blood transfusions, and a surgery to remove the tumor. 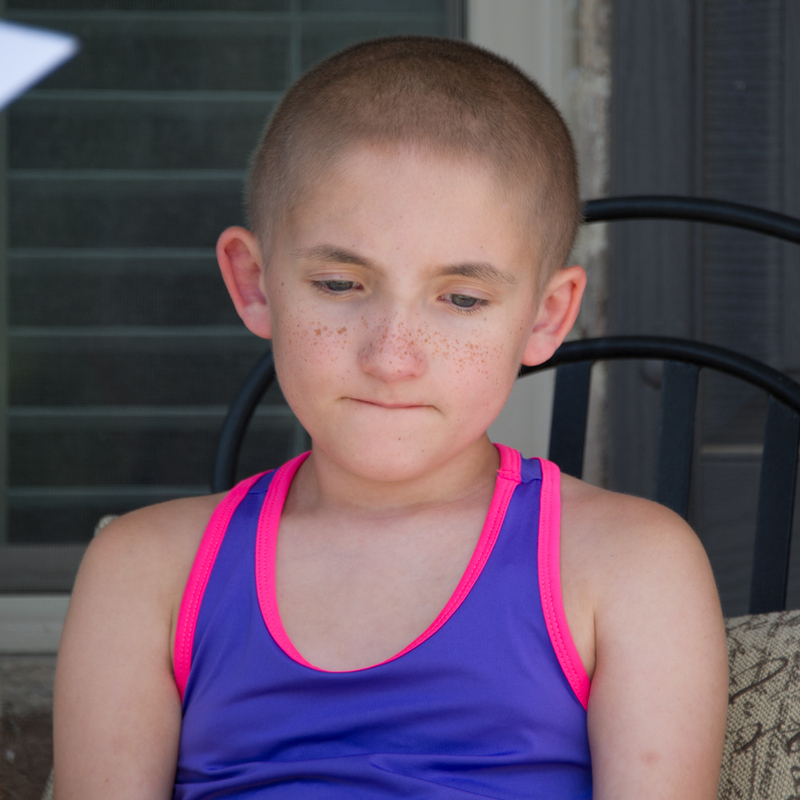 She was brave as she also endured missing most of second grade, losing all her hair, and having boys at school point at her and laugh. 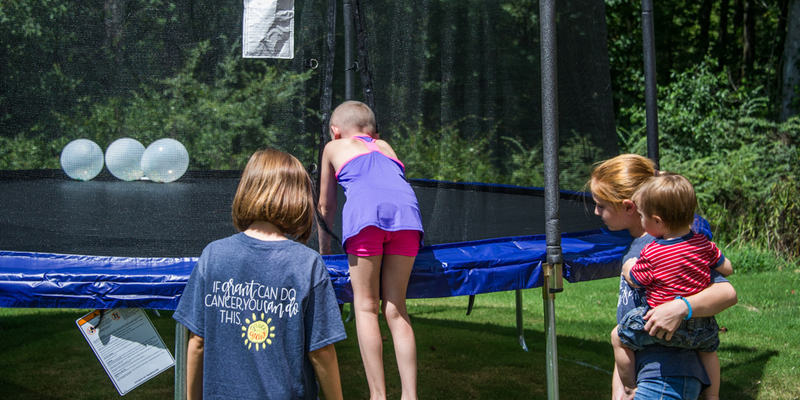 When you are a kid with cancer, you figure out that only another kid with cancer can really understand what you are going through. 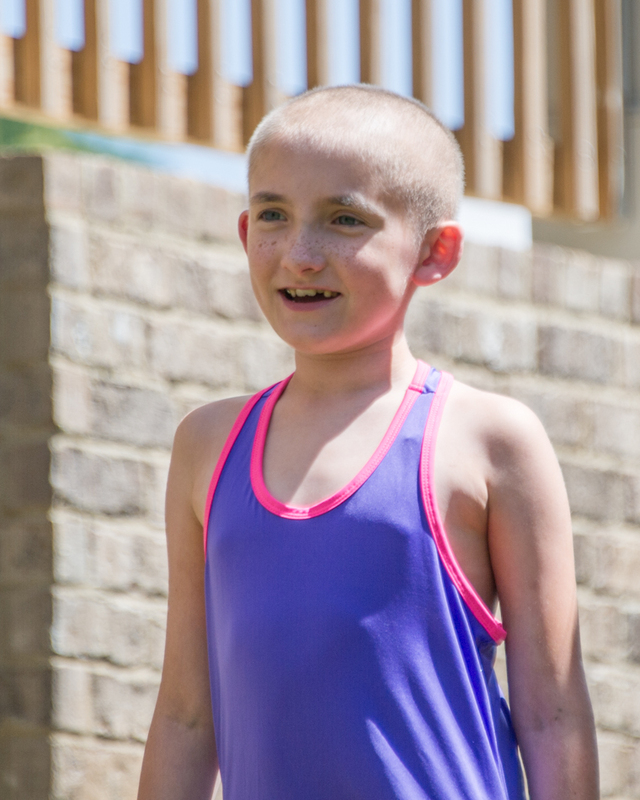 One of Kailyn’s best hospital friends was Team Summer kid Grant. 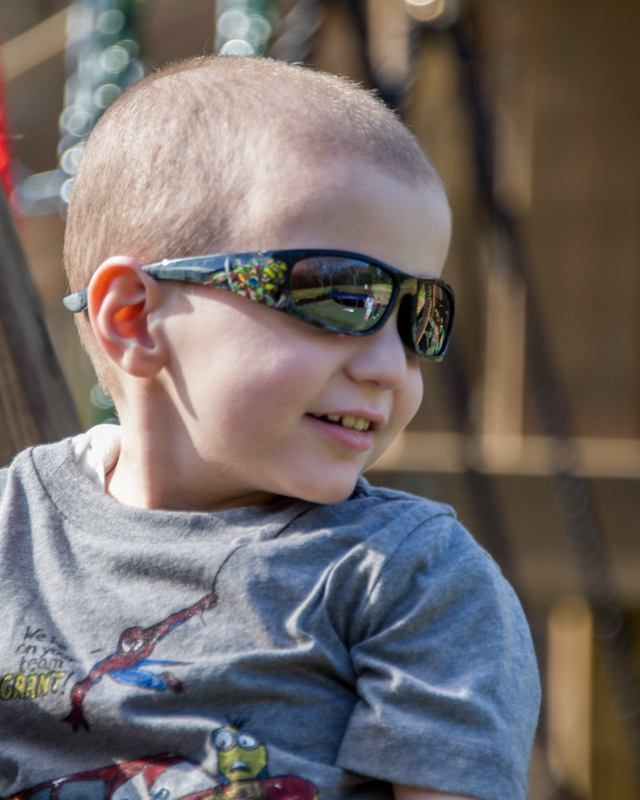 Remember him – the precious four-year-old boy who got a trampoline as his Team Summer gift? Well, after he got his gift, he picked Kailyn to become a Team Summer kid, too. 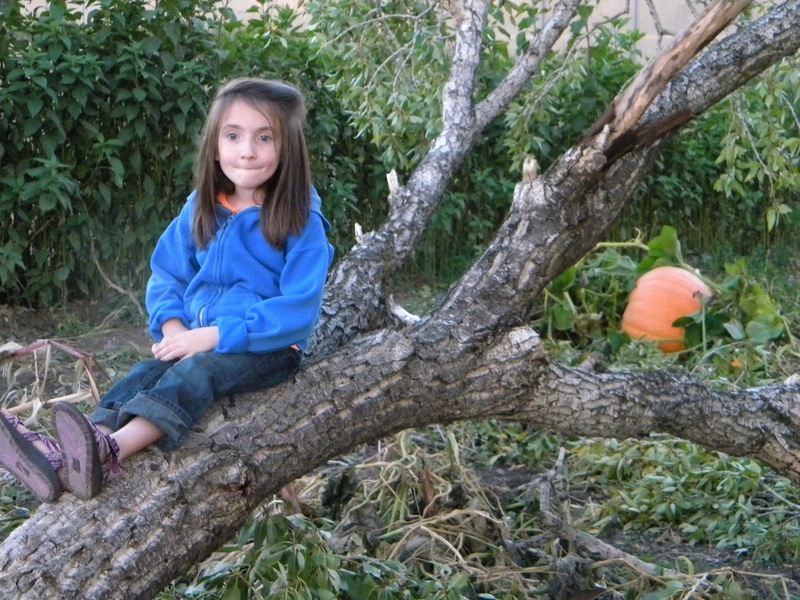 Sadly, Grant passed away due to complications from his cancer treatments before he could give Kailyn her gift. So, we asked Grant’s four brothers and sisters if they would step in, and they welcomed the chance. Even at their young ages, they know way too much about cancer. And they know what a difference they can make in the life of a kid with cancer. 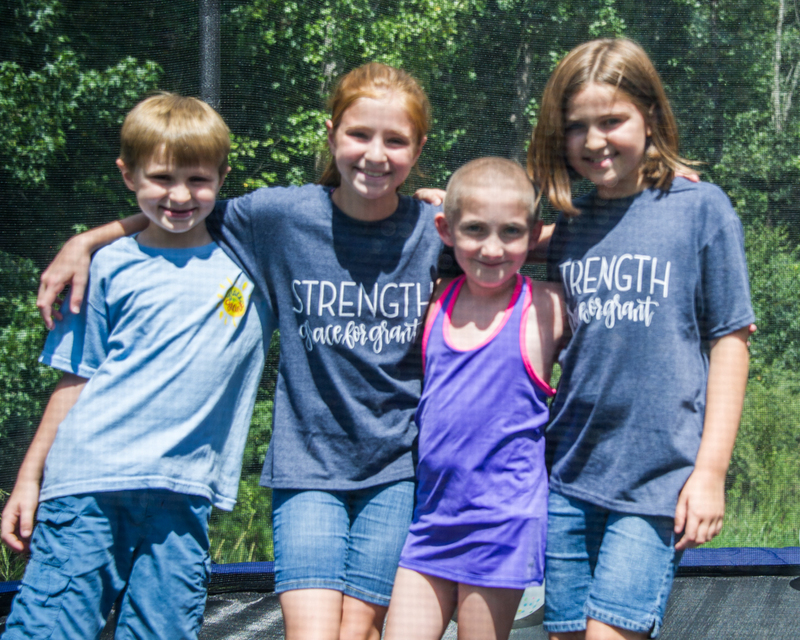 Meet James, Sydney, (Kailyn), Sarah, and Hudson! 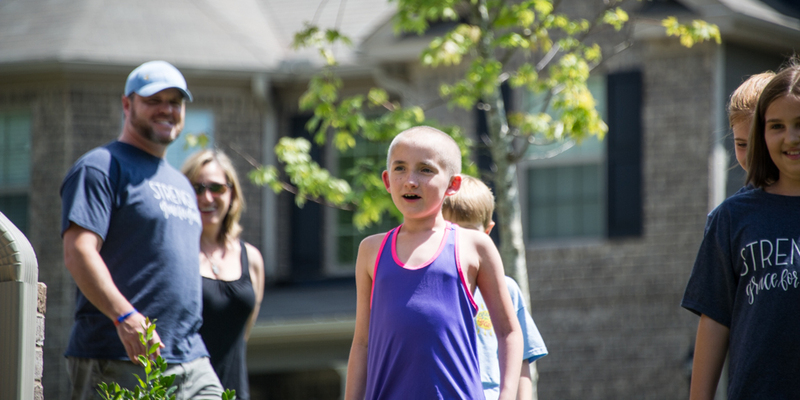 Grant’s oldest sister, Sarah, did the honors, welcoming Kailyn into Team Summer! 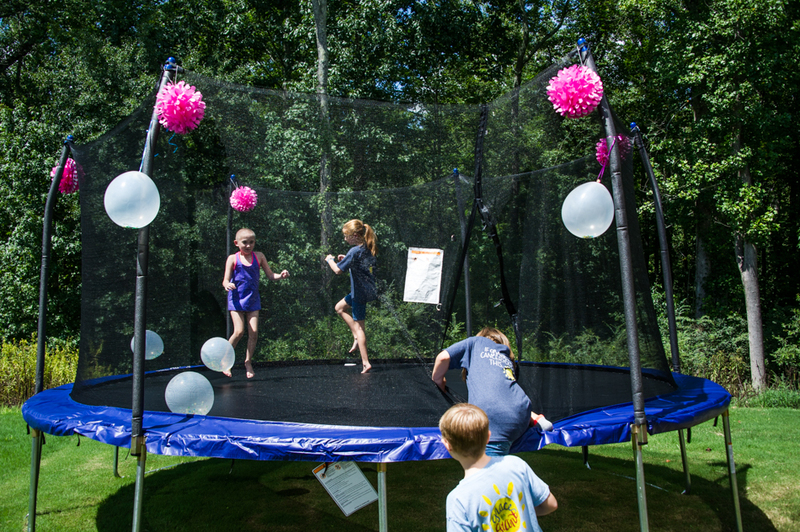 And then it was time to take Kailyn to her own backyard to see her Team Summer surprise! Kailyn didn’t know what could be so interesting back there. 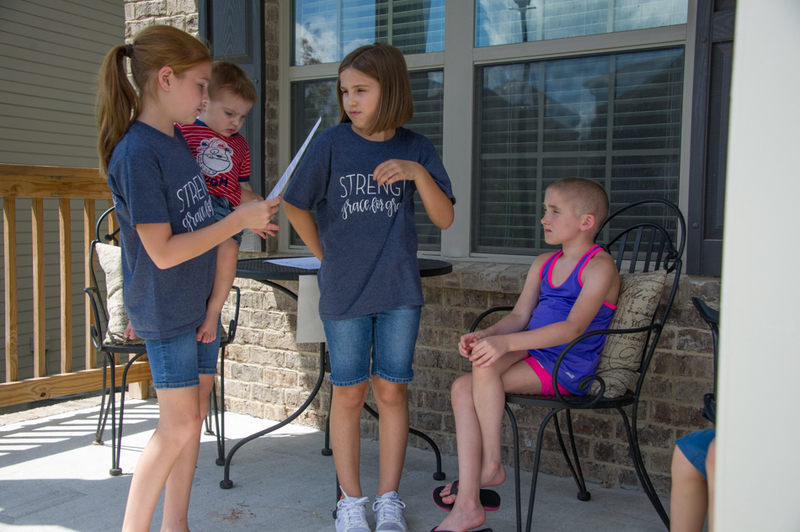 She hadn’t realized that her mom had gotten her out of the house earlier for a reason…so Team Summer volunteers could work their magic! As she rounded the corner, Kailyn saw it! 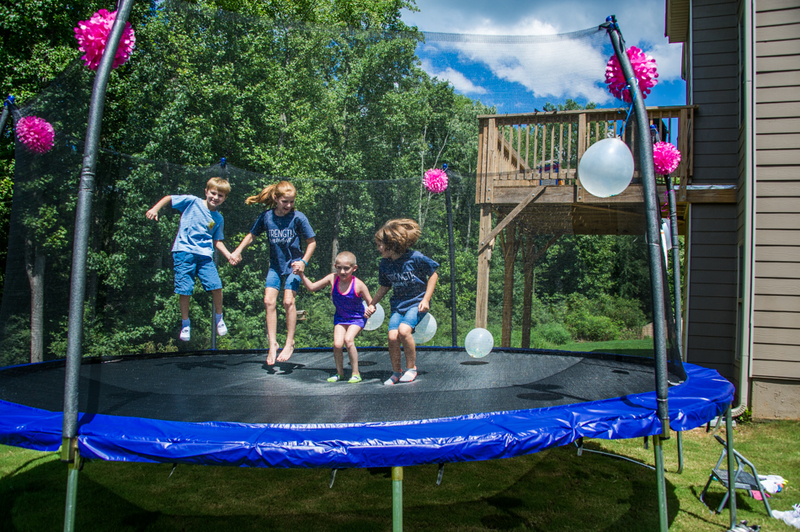 Her very own trampoline – just like Grant’s! 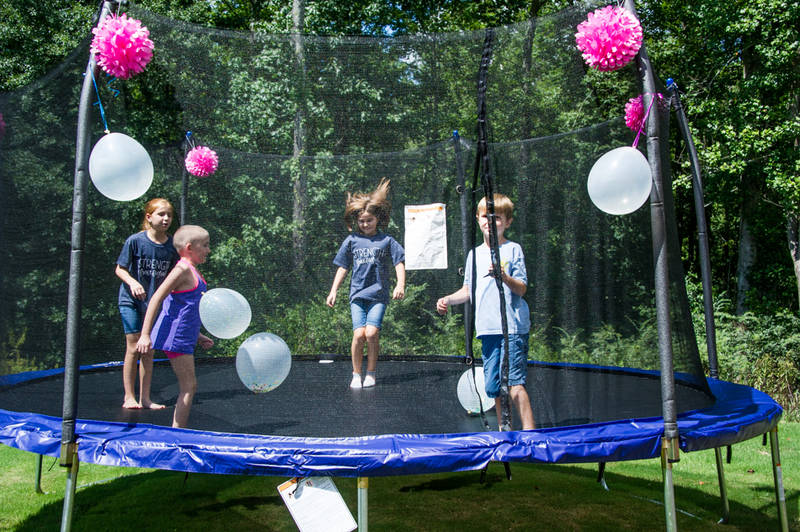 Before long, all the kids were laughing, jumping and flipping together. It was like a cancer-free zone. Just what every kid dealing with cancer, or the effects of cancer, needs! 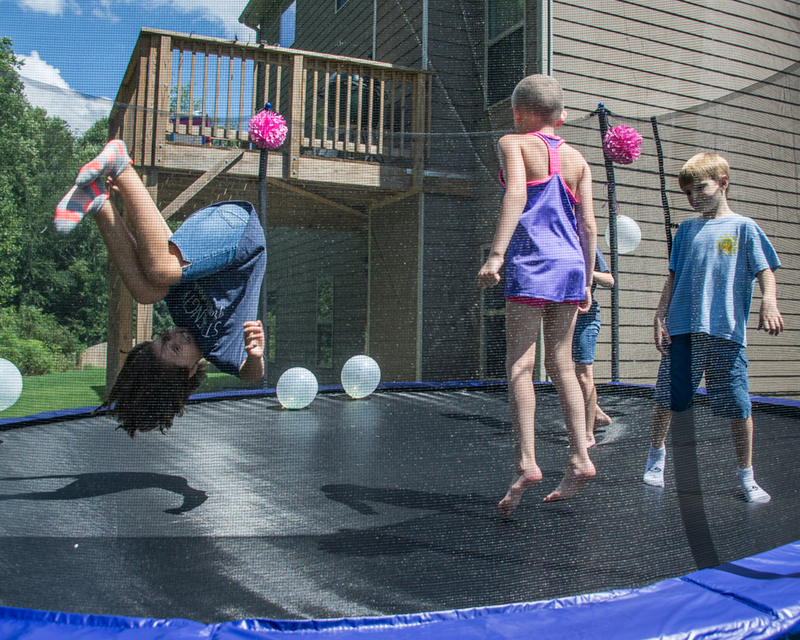 Kailyn’s mom says all the kids in the neighborhood come over to play now. And what’s even cooler is that Kailyn has already picked a kid with cancer to become a Team Summer kid. So stay tuned for that story! And you will be seeing Grant’s siblings again, because Kailyn was not the only kid Grant picked to become a Team Summer kid! Can you donate to Team Summer? We depend on your generosity to make all these gifts happen. We can’t do any of this without you!